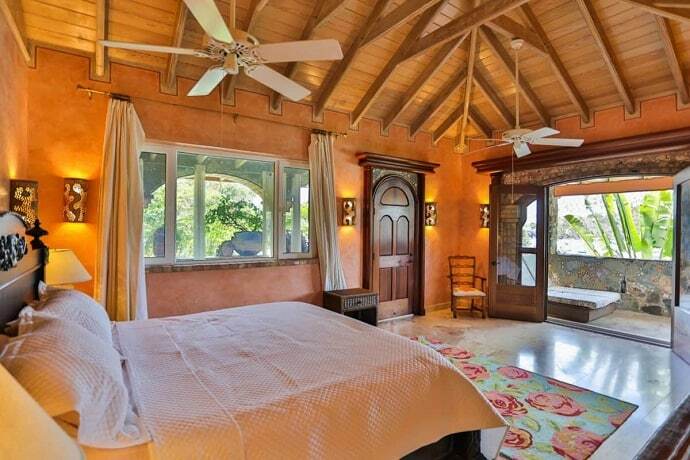 Breezy tradewinds waft through this very private, traditional, Caribbean island villa with a beach. 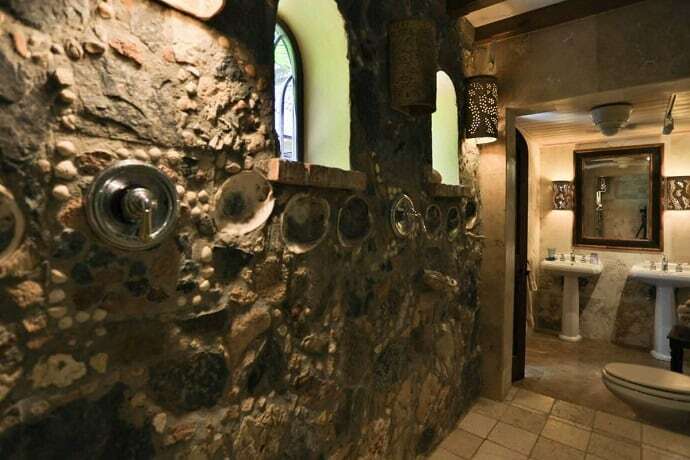 Designed by famous local architect Glen Speer and now transformed by well known local artist Donald Schnell, known for his beautiful handmade pottery that compliment island living. 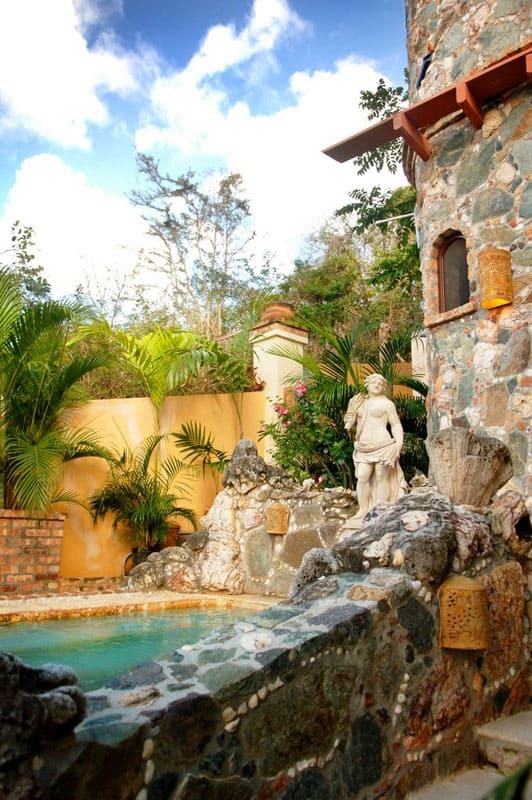 Come and see the the artist’s touch added to this tropical garden paradise. 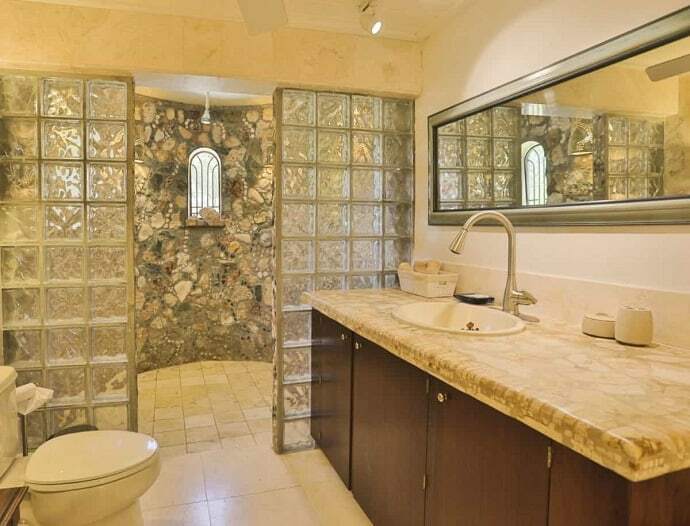 A twelve person fine Italian marble stone table and Italian stone tile & statuettes coupled with local island stonework create a unique European & Caribbean atmosphere. 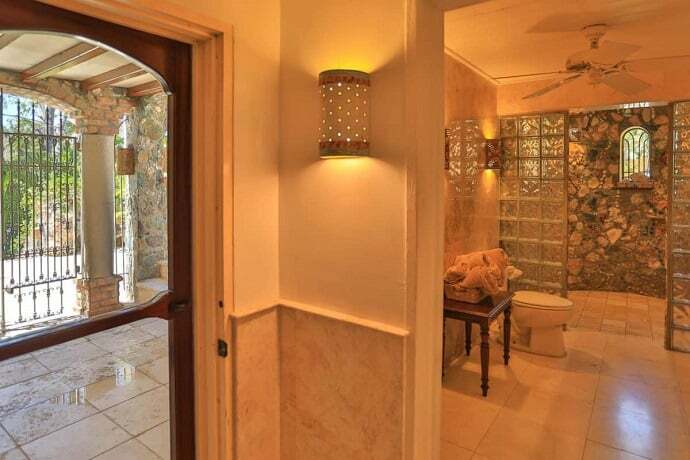 The Great Cruz Bay location (see our maps page) offers convenience to shopping, groceries, restaurants and National Park beaches, yet the villa offers unique privacy with the surrounding tropical trees and fauna. 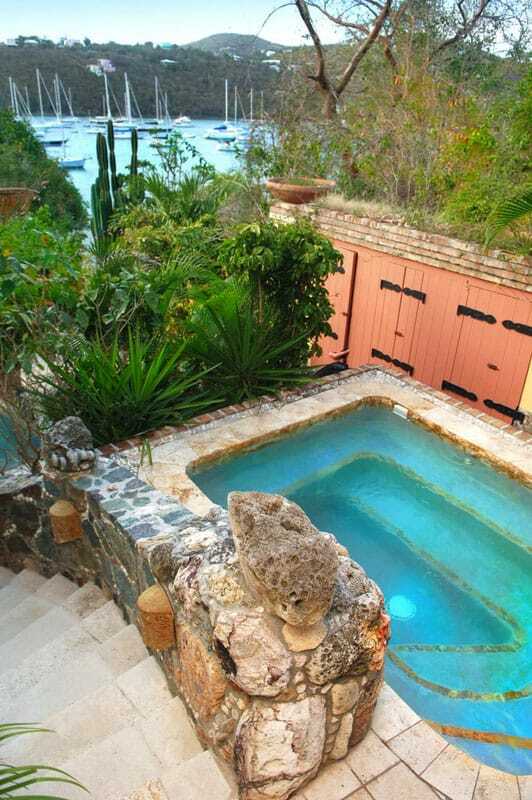 The Beach Estate’s pool overlooks Great Cruz Bay and the blue Caribbean Sea of Pillsbury Sound. 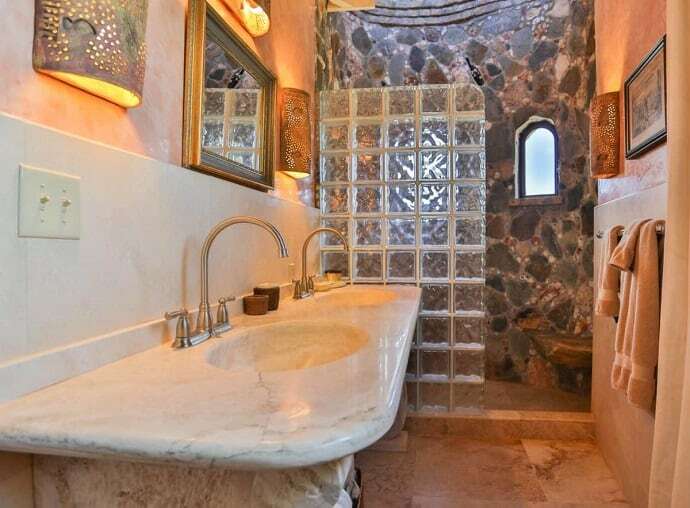 Deep & luxurious, the pool area is augmented by sconces from the Donald Schnell Studio and edged with Italian marble stone and is just steps away from the property’s sandy beach. 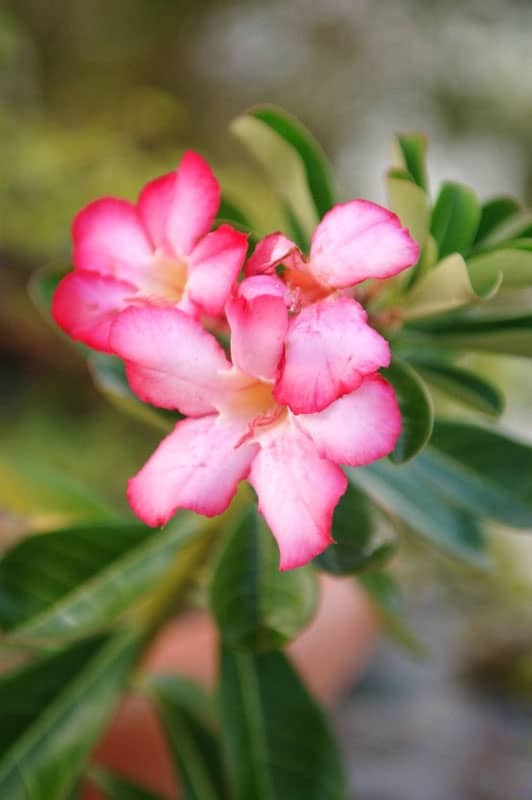 Island stone planters nurture blooming hibiscus, bougainvillea & other tropical flowers. Snorkeling along the point reveals a variety of fish and an occasional lobster or sea turtle while local White Herons frequent the shoreline. 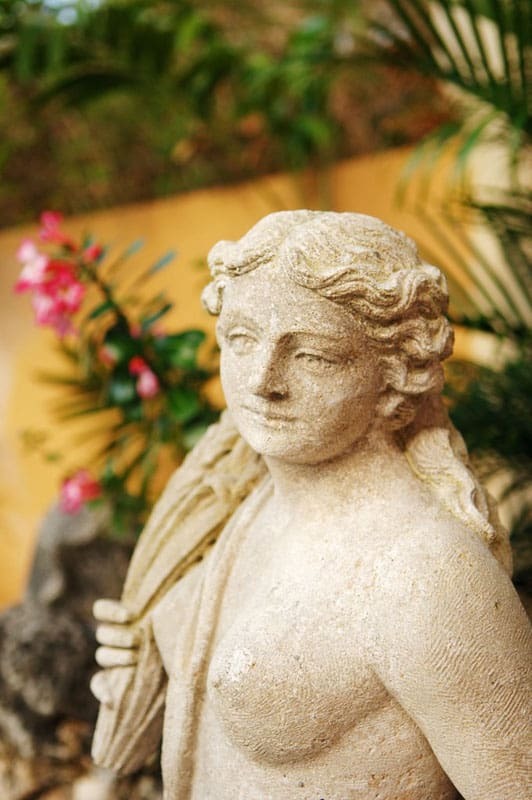 The “Four Seasons” Italian statues watch over the island stone hot tub and pool area. Italian planters with native island palms and colorful bougainvillea surround you in this peaceful & private island retreat. 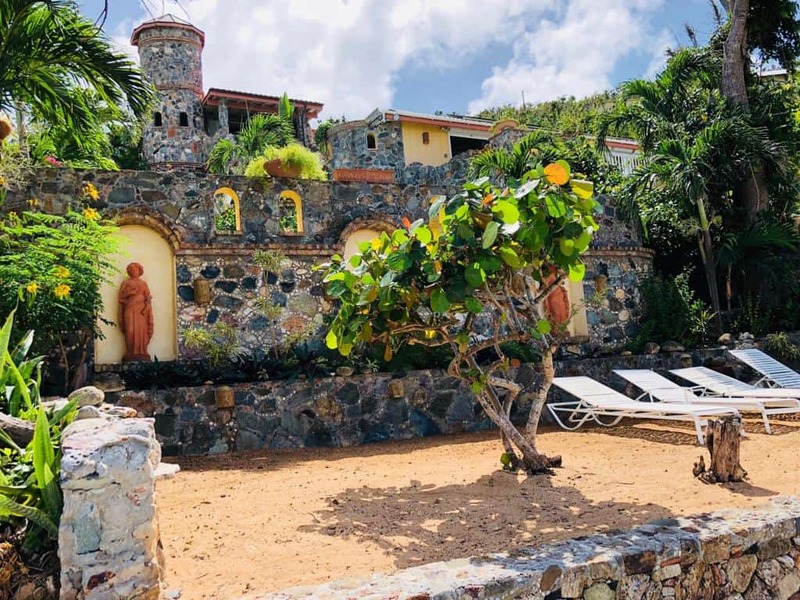 The island’s spectacular sunsets, views of the blue Caribbean Sea and the night time lights of St. Thomas are all visible from the spacious decks perched on the hill overlooking the tropical gardens and the beach. Island stone pathways weave steps through the garden, home of the endangered species Iguana (harmless fruit & flower eaters), to the sandy beach area. 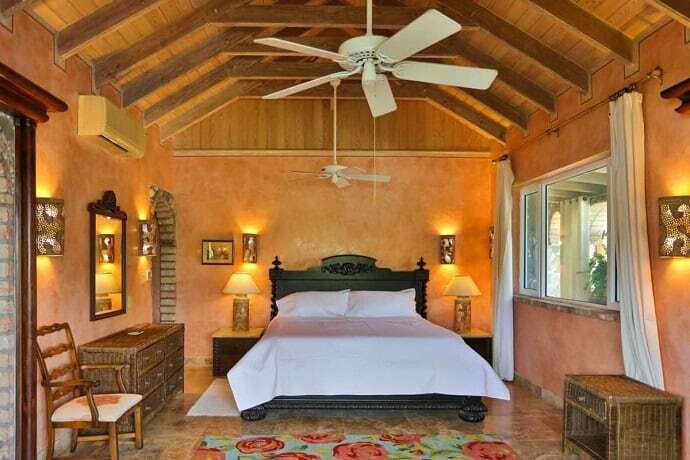 Now with five, King master bedroom suites each with a private bath, the villa is perfect for a honeymoon or anniversary couple, five couples or a family with older children. 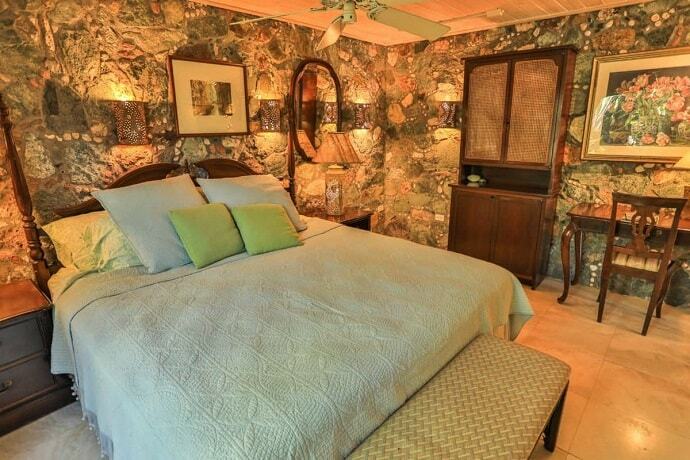 Every bedroom has a an extension phone and cable television. 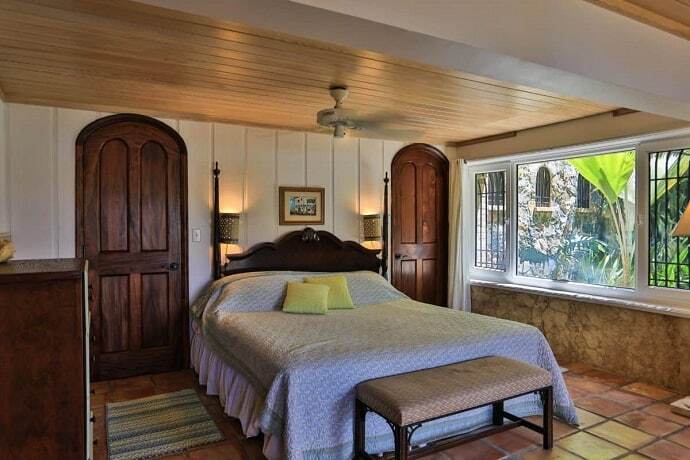 Two of the bedrooms, and the secondary living space downstairs, have an additional twin bed. Please be sure the Beach Estate’s Caribbean open air design is appropriate for your children’s age and family’s configuration. 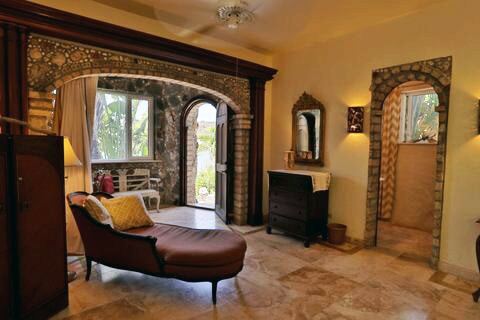 The fourth & fifth master bedroom suites feature sconces from our studio along with island stone & brick accents with Italian travertino floor tile and counter tops. 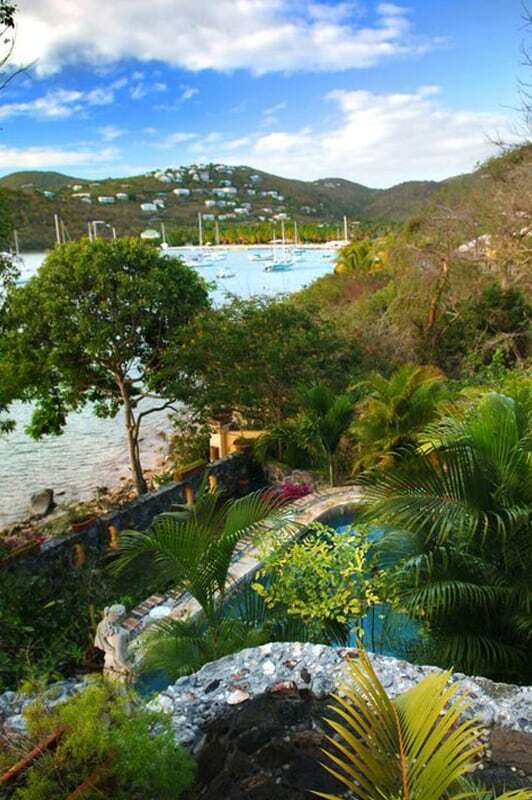 An eight person fine Italian marble stone table looks down on the private sandy beach area and lush garden setting. 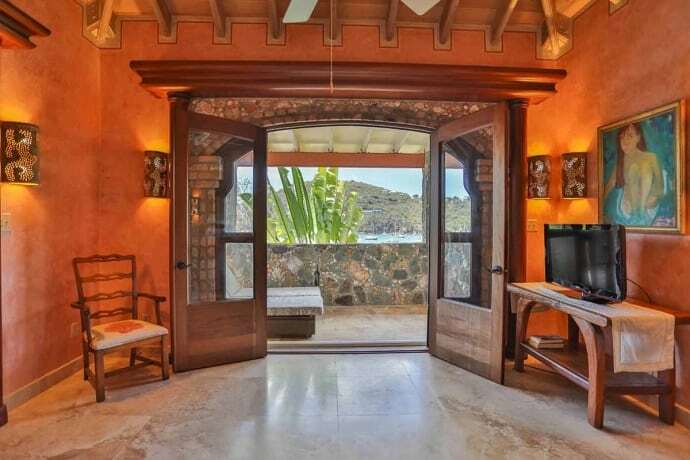 The upstairs open & breezy living area provides a traditional Caribbean atmosphere and is complemented by the enclosed, secondary living space downstairs. Upstairs offers a CD player, cable television, DVD payer. By night the Estate is magically lit by the handcrafted sconces created by the Donald Schnell Studio. 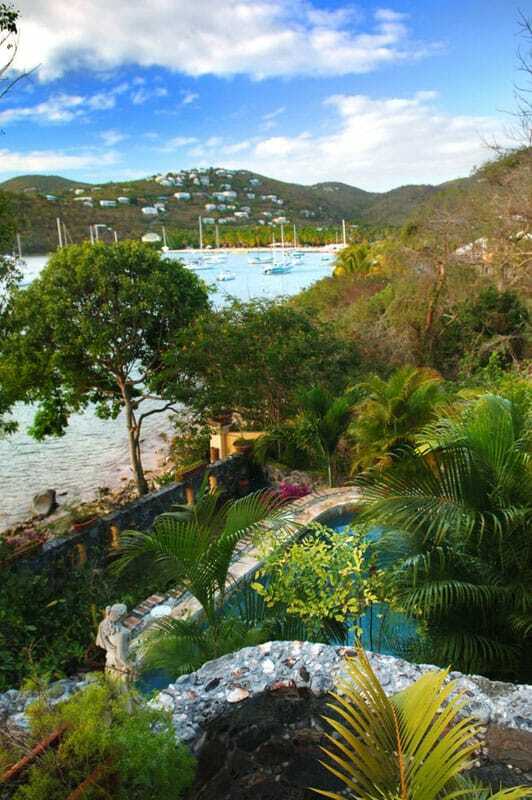 The pool beckons guests to a midnight swim under the stars & the beach area offers an enchanting view of the twinkling night time lights of St. Thomas. 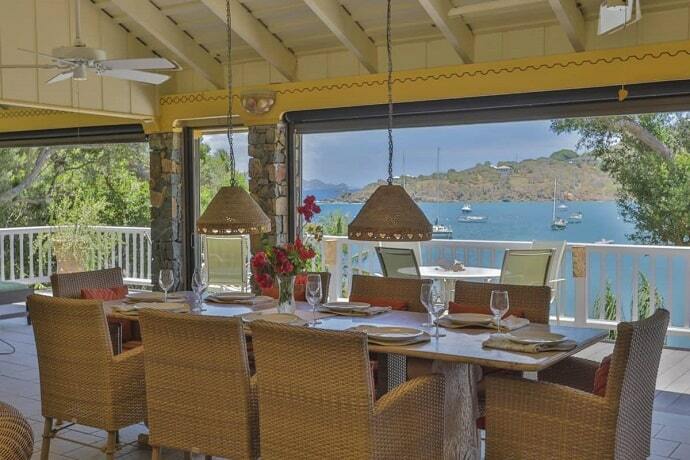 Be sure to check out our full Photo Gallery of The Beach Estate, where you can see the whole villa – inside and out. 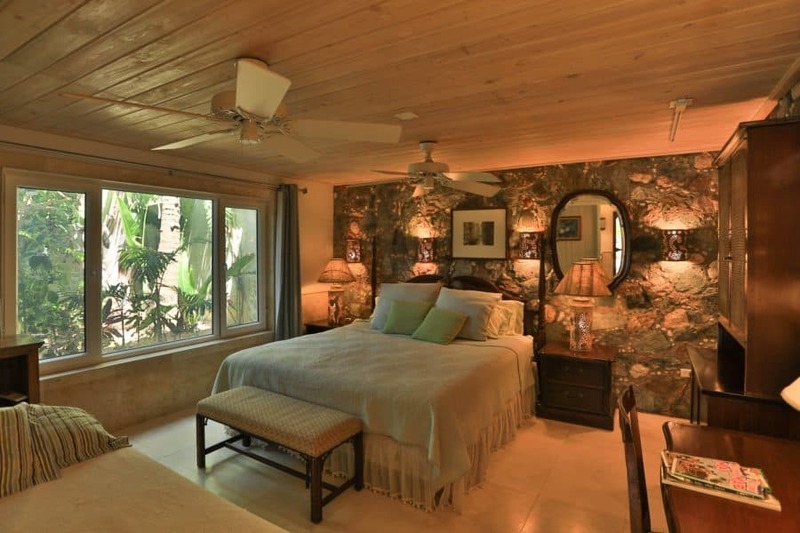 To inquire about rental rates for The Beach Estate, please call us directly at 800-253-7107 or email info@artisticvillas.com. Still undecided? 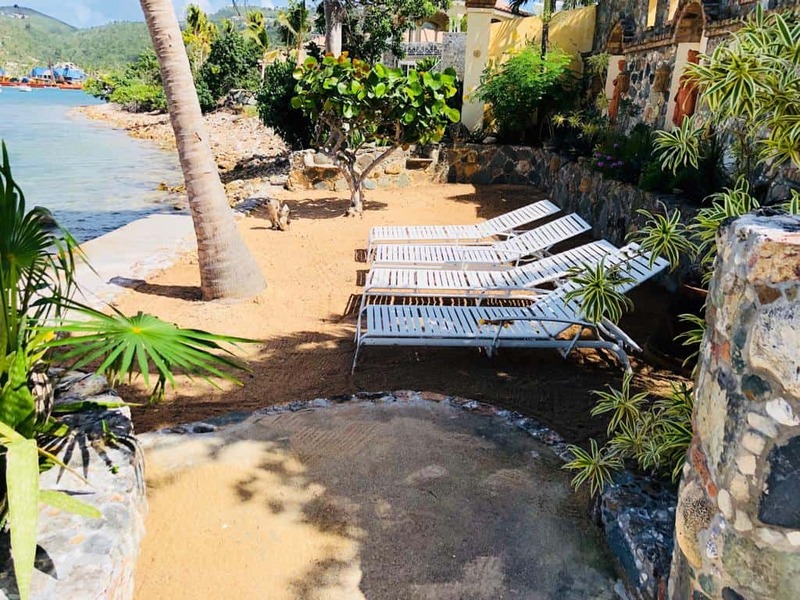 Read through our Guest Comments page to hear what our guests have said over the years, or browse our Villa Comparison Chart to compare The Beach Estate to our other villas. Brent and I have been back in California for one week now, but we’re still basking in the glow of our wonderful Saint John vacation thanks to you two lovely people. This trip was our sixth vacation on Saint John, in celebration of our 35th wedding anniversary, and it was by far the best experience that we’ve ever had on the island. 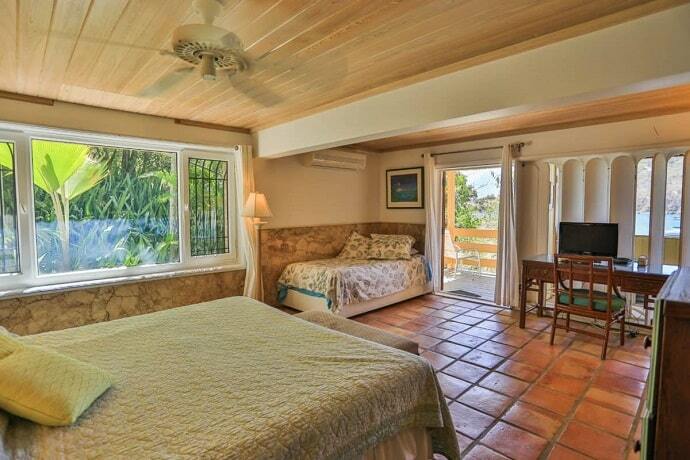 Brent and I both agree that staying in your lovely villas made all of the difference. I know that I told you that this past year had been a very difficult one due to my father’s struggle with several devastating health issues and his ultimate passing. Brent and I were both very close to my dad. 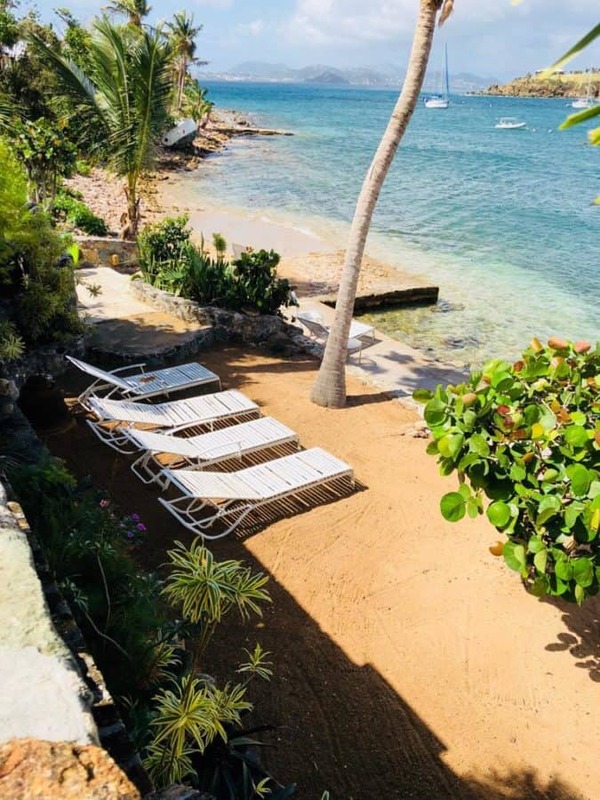 The soothingly beautiful environments that you’ve created at each of the villas where we were able to stay, particularly at the Beach Estate, gently rejuvenated our entire beings. It’s difficult to put into words how blessed we both feel to have been able to have this special vacation experience. We also want to also thank you for your gracious manner and how welcome you made us feel by sharing personal time with us. You are truly exceptional people. We hope to see you again in the future. Until we meet again, we wish you many blessings. P.S. Please thank Frank, Abby, and Eric for their wonderful care of us and their part in making our time on Saint John so special. We had the pleasure of staying at Don and Deborah’s Beach Villa the first week in January of 2017. 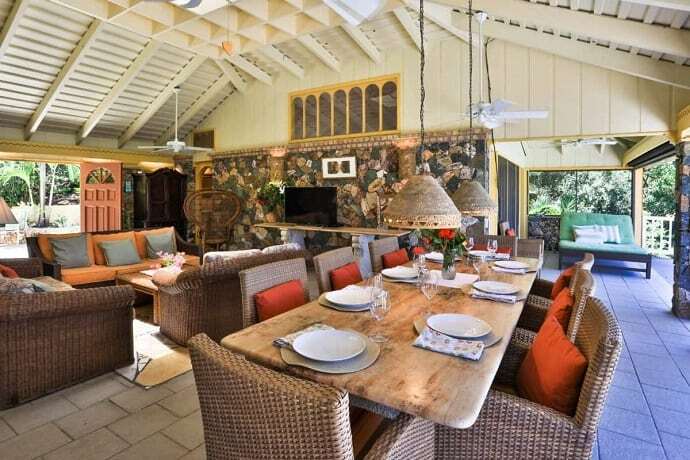 It was a perfect home for our group of 10 friends. We had an amazing time. 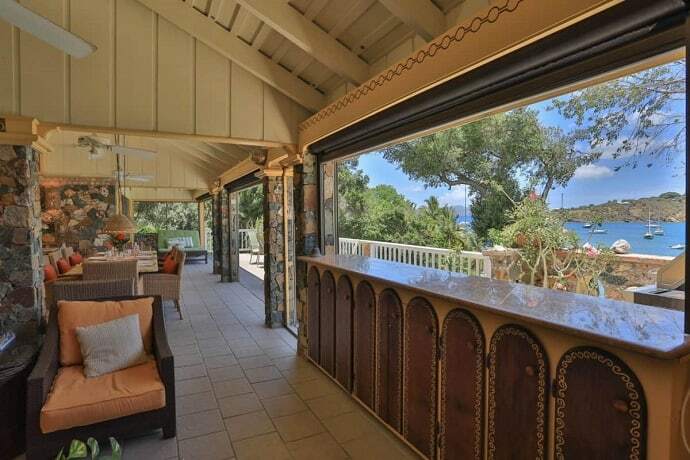 The home was even more beautiful than the pictures. 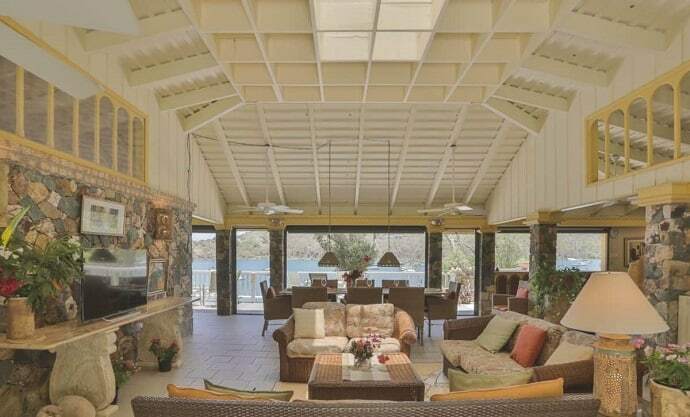 The villa is right on Great Cruz Bay, right on the water, which is a rarity for a home in St John. The pool is gorgeous and the hot tub was welcoming every night. We loved cooking our own dinners and enjoying the food on the beautiful Italian stone table outside. The landscaping was beautiful. The location was convenient. Every single room was beautiful. 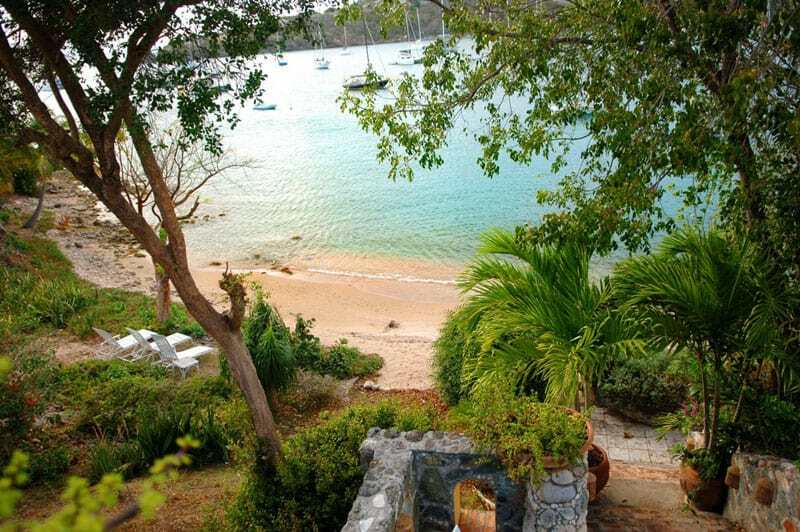 We hope to stay there again or at their Beach Estate which was even more beautiful if that is possible. 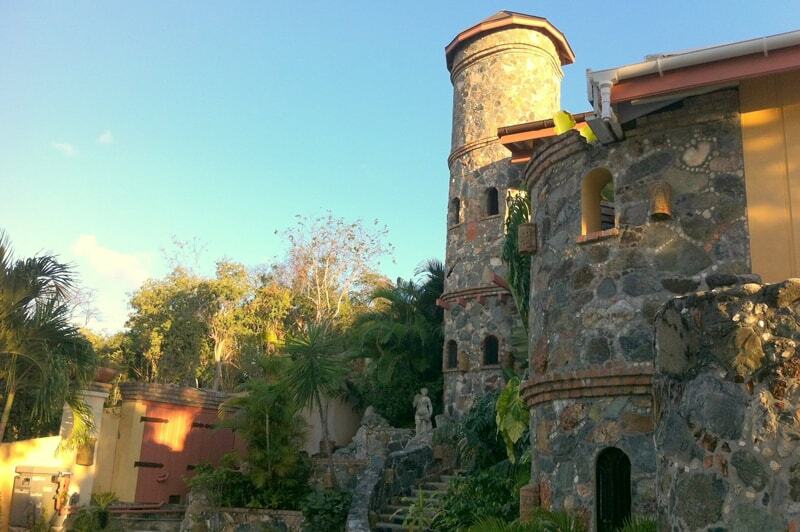 We have been to St. John 5 times now and this was the best home we have stayed in. Donald was very accommodating and helpful. Thank you! Hello to all (Donald, Deborah, Kevin, Eric and staff)! We returned last week end to the cold and snowy wilds of Vermont! OH how we miss those wonderfully warm days on your beautiful island!!! It is indeed a beautiful place to be! We also would like to thank you all for the wonderful hospitality and accommodations! From the prearranging to the personal service at the ferry with Kevin, Eric signing us in, and Deborah’s warm welcome to the island! And of course Donald’s calls, visits and assistance with dinner reservations!!! It made everything seem so personalized! We loved the villa! 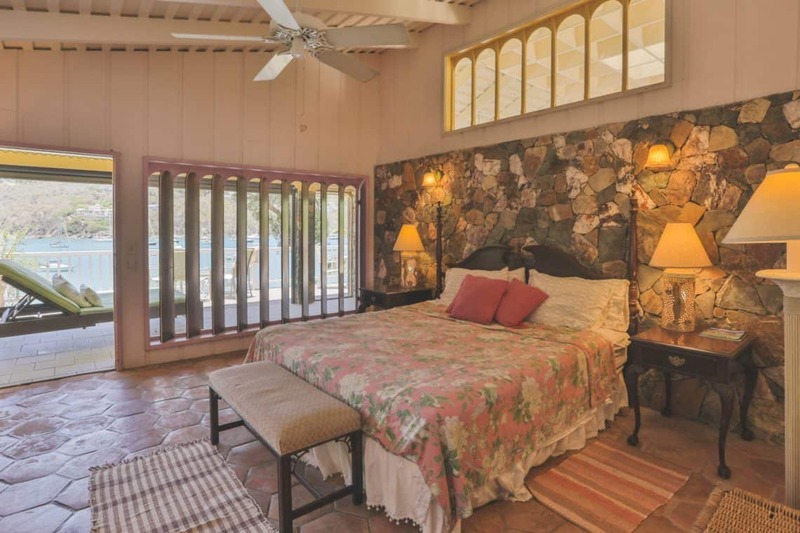 We felt that we were in heaven with the tastefully decorated rooms, the little extras (we love having the beach chairs there), the view of the harbor and St Thomas at night- and oh yes- not to forget our friends the iguana!!! St John is a definite return!!!!!!!!!!!!!! With our teaching positions and our daughter starting grad school next year- we will not be returning next year- but we really want to return the year after! It was Jim and my 50th birthdays and what a way to go! We told Peter that we need to return in 2 years for his 50th!!!!! We enjoyed the beaches, swimming, snorkeling, restaurants and food and the whole atmosphere of the island! 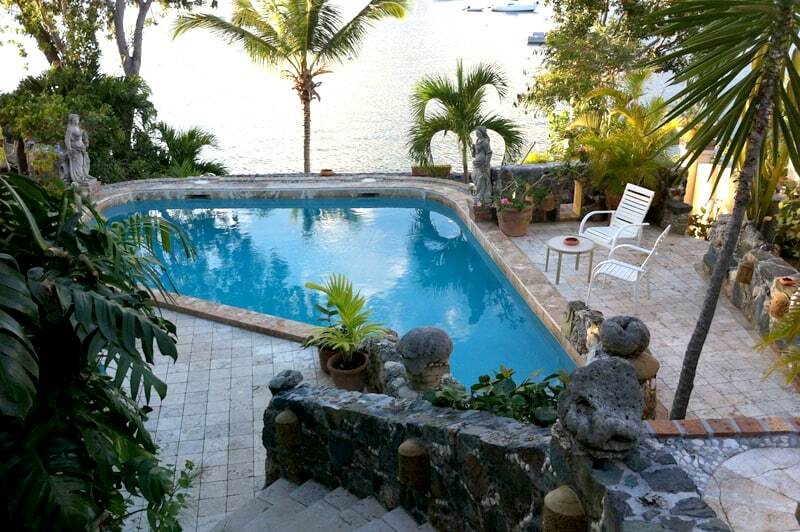 It was nice to be in Cruz Bay and then to return to the solitude of the villa! The vehicle was also great and nice to have arranged ahead of time- thanks for that as well! Mongoose Junction was so tastefully done and we enjoyed visiting your studio, having breakfast there a few times and of course browsing and shopping! We went on a sunset cruise and had a great ride with Captain Rusty!!! We did have a wonderful sunset that night!!! So fortunate! 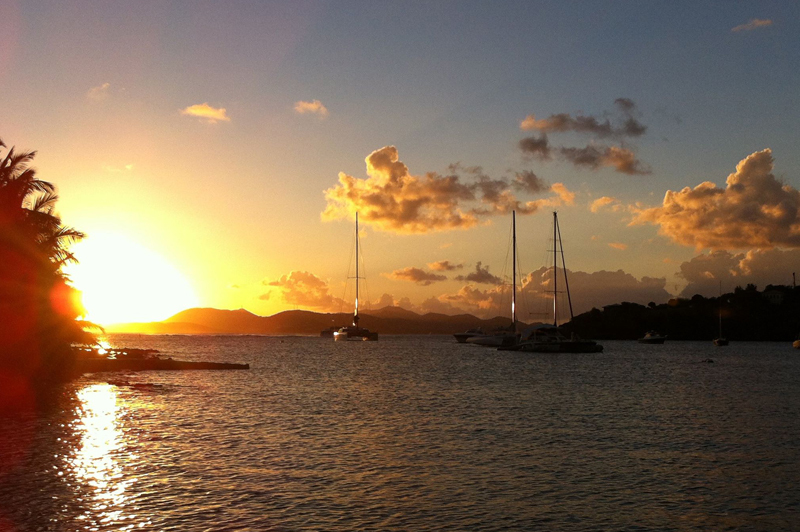 The trip to Jost Van Dyke, visit to Foxy’s and the Soggy Dollar bar was also a treat! Snorkeling near Sandy Spit was beautiful. That was a great tour for the day! 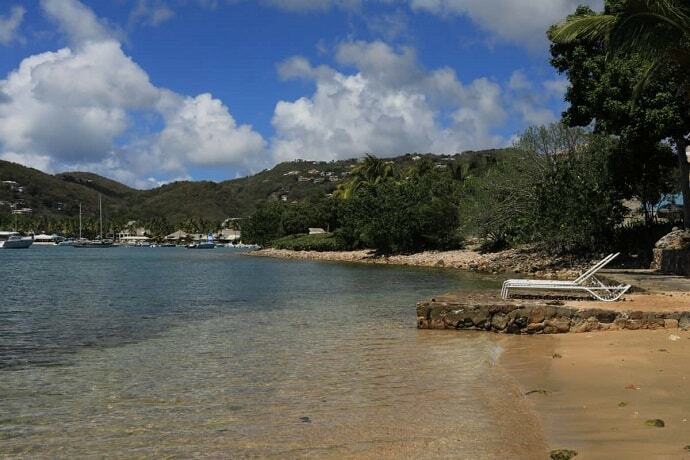 The best snorkeling was at Salt water Pond- we drove out there twice! It was my first time snorkeling and how incredible! 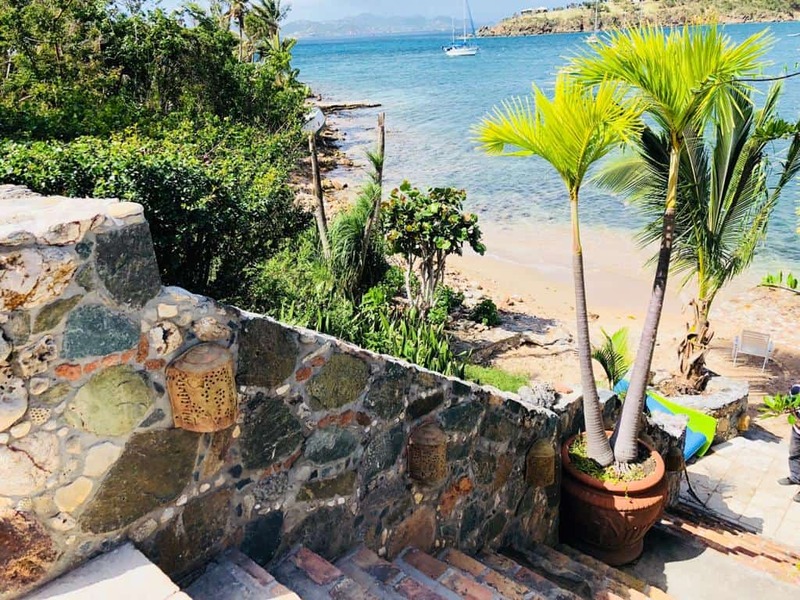 Pam and Peter have travel to many places from Hawaii, Tahiti, The southern islands of the Caribbean, Bermuda and Costa Rica and they said this was probably the best for water, the fish, coral and sea turtles!!!! 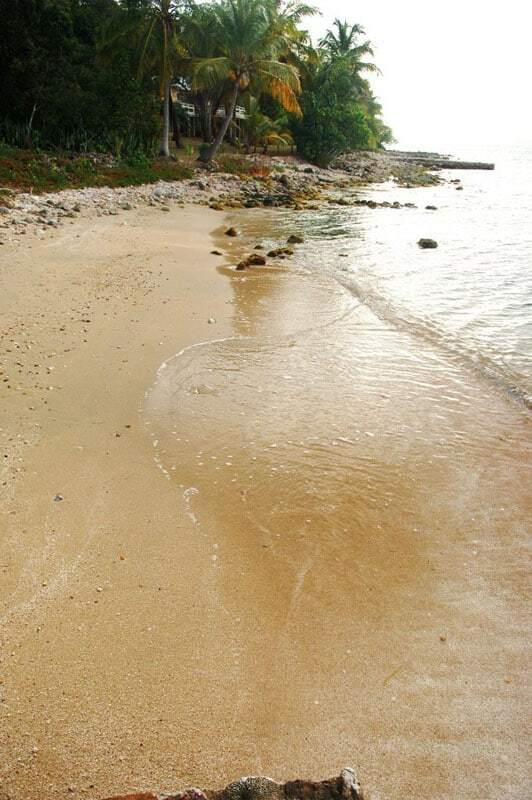 You and your island have so much to offer- you are so fortunate to live in a little peace of heaven! Enjoy! And please keep in touch from time to time! This was an experience that is now an embrazened memory. And yes we have wall paper on our computer of the picture that you had on the web inside the dining room looking out – so that we can be there any time that we want to – at least visually! Take care and many thanks again!!! …Again thanks for everything. Eric was very helpful and we greatly appreciated your assistance in getting us the car, reservations to Virgin Gorda, taxis, etc. It was a pleasure dealing with “real” people rather than some rental outfit. We will be sure and recommend your properties when we can. It is a tough Monday coming back to work — cold and gloomy here. I keep thinking of the sand and water and the great balcony view we had. 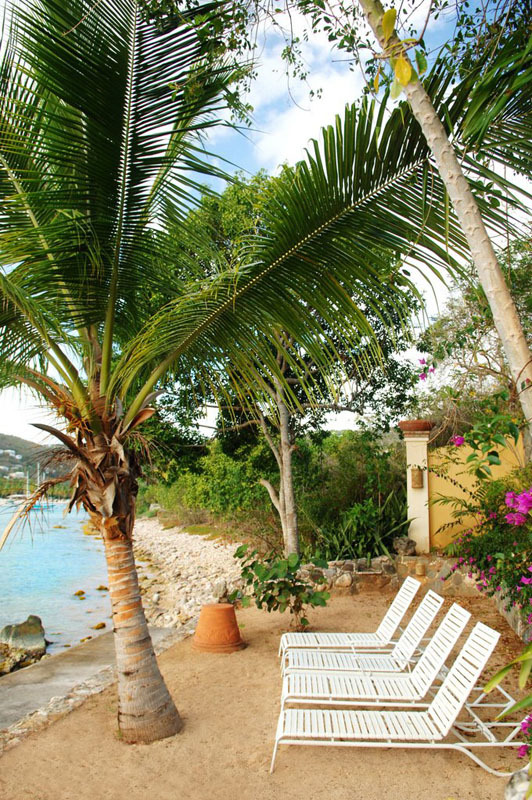 As we look at our pictures of the Beach Estate, we’re trying to plan a family vacation as soon as we can all get together. Our trip was fantastic – and your Web Site needs to be nominated for beauty in locations. 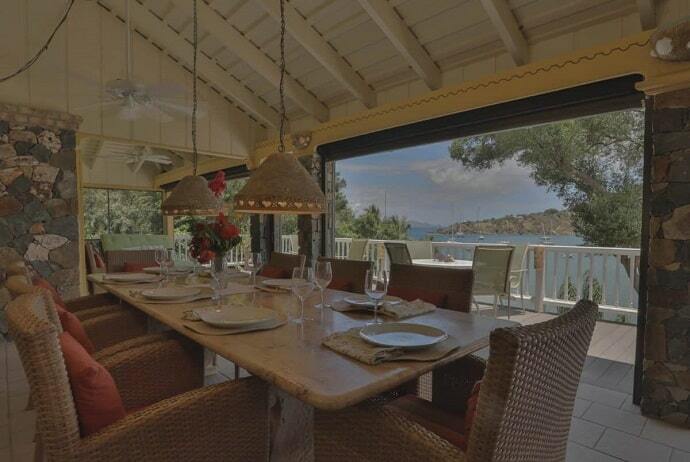 It certainly portrayed exactly how our Villa was. We had been cautioned to be a little wary of Internet locales and had even heard a few scary stories from acquaintances. 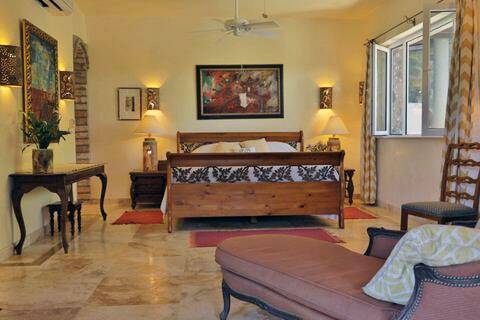 We had nothing to worry about, the villa accommodations and surroundings were displayed beautifully in actuality as well as on the site. Again, we are certainly looking forward to a return visit. 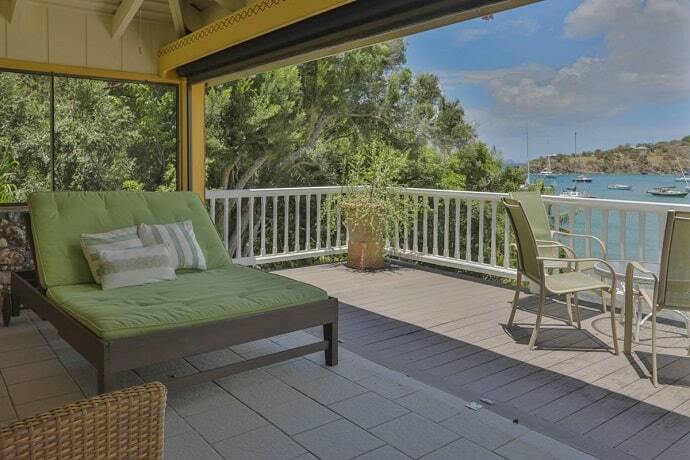 P. S. – The dock at the water looks gorgeous and a great place for morning coffee. 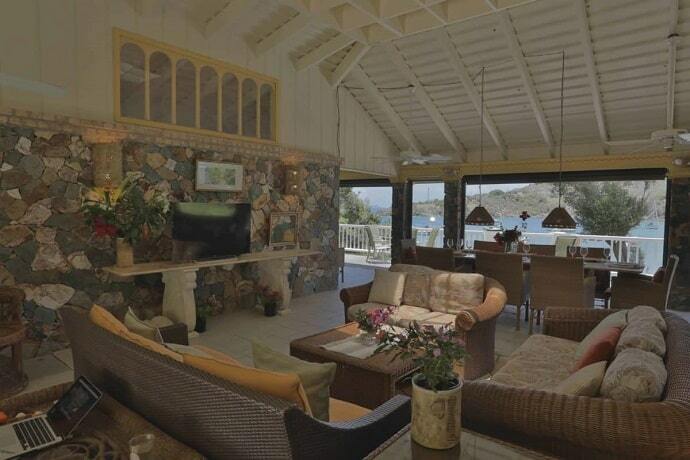 Staying at The Beach Villa or the Amore apartment in Cruz Bay is just fantastic. We love our vacations there! Trunk Bay is our favorite ( my husband proposed there ) and the restaurants in town are great with good food and fabulous wine. We especially love La Tapas! We can’t thank you enough for everything that you’ve done for us and for our friends. 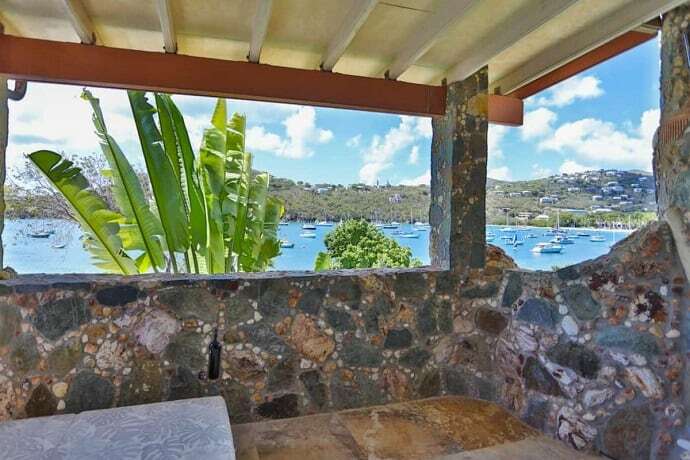 None of us can stop talking about what a phenomenal time we had in St. John. Chris and I were really beginning to wonder if a wedding was ever going to materialize, and then to end up getting married in paradise surrounded by our best friends is still amazing to us! This was a trip that can never be topped. We just celebrated our one month anniversary drinking champagne out of our new glasses, too. 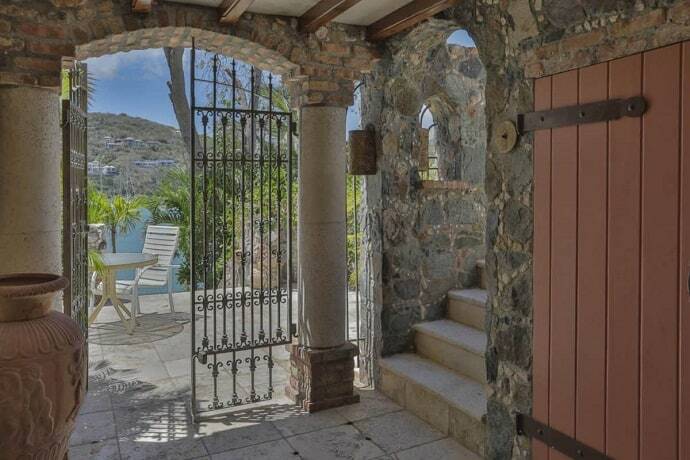 New Orleans is home and its nice to be back but we definitely feel that we left a piece of our heart in St. John. Thanks again for the kindness and hospitality that you showed us and we hope that we can make it back there soon.